In the week Liverpool FC and the English Premier League says goodbye to Steven Gerrard, Podcast Pêl-droed contributor Leon Barton has been thinking about Gerrard’s old friend Jason Koumas, who, in contrast, has just been relegated from the Football League. Someone has to, I suppose. I realise it might seem ludicrous to lump a man who won the Champions League, UEFA Cup, two FA Cups, three League Cups and represented England 114 times, including at six major tournaments, into the same introduction as a man who never won a trophy (or even played in a final) and played just 34 times for Wales, only once getting anywhere near to playing in a tournament before ultimately failing. But whenever I read or hear another eulogy for Liverpool FC’s departing captain, it brings to mind something my cousin (who played alongside Koumas as a youth team player at Tranmere) told me a few years back: “Jason had more ability than Steven Gerrard. The problem was ability was all he had”. When thinking of Koumas’ career, there is a temptation to imagine an alternate reality, where he had no problems with any of the coaching staff at Liverpool, stayed there, and became a legend alongside Gerrard, their youth team midfield partnership successfully transferring to the elite level of professional football. But deep down, I know I’m kidding myself. Someone as undisciplined as Koumas, as unwilling to track back and as unable to take a knock and just get on with the game, would never have made it at a club as big and demanding as Liverpool, even had his own father been a coach, his uncle the manager and his grandfather the chairman. Ability alone is not enough. Nowhere near. Let’s talk a bit about that ability. Jason Koumas is in the top bracket of the most talented footballers I’ve ever seen ‘in the flesh’. And I’ve seen Marco Van Basten, Andrea Pirlo and Ronaldinho. And Carl Robinson. Although not particularly quick, he had a Gazza-esque ability to glide past opponents keeping total control of the ball and the physical strength to withstand attempts to unbalance him. Genuinely two-footed, he had a rocket of a shot, took a mean free kick and was superb in the air; although this was not something he was often given credit for. 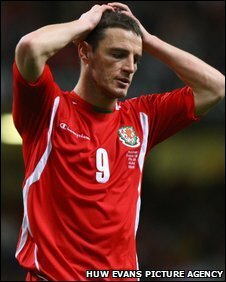 Two of his ten Wales goals were headers and the opener against the Republic of Ireland in 2007 was a goal of which the Welsh big Johns – Charles, Toshack and Hartson – would all have been proud. If we take on board the Xavi Alonso theory that “tackling is not a quality… it is something you have to resort to”, then in terms of pure ability Koumas had the lot. The second ‘alternate reality’ temptation is to imagine the young Koumas coming under the influence of a quality manager who backed him, cajoled him, understood him and humored him but once again I know I’m kidding myself. The truth is that he did have managers who backed him, three in particular, all of whom (perhaps not coincidentally) had strong Merseyside connections. John Aldridge at Tranmere was fully aware from the start just what a talent he had on his hands. 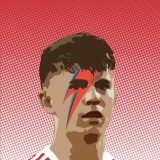 When journalists began to speak of the young midfield prodigy in hushed tones, he was quick to agree with the sheer potential, but also made it clear he wasn’t exactly low-maintenance, “I’ve had him in my office more than any other player in the past two years. I know he has the ability, it’s frightening ability… it’s taken time for the penny to drop with him and I just hope he can maintain the standards he has set.” Despite some spectacular cup heroics (a 3-0 FA Cup win over Everton in particular springs to mind; perhaps the game where the London media first really noticed just what a massive talent Koumas was), Aldridge left Rovers in March 2001 with the club rooted to the bottom of League One. Koumas left for Premier League West Bromwich Albion the following summer. Despite an excellent season in which he won the club’s player of the year award, Albion were relegated and the club replaced manager Gary Megson with Bryan Robson. A former midfielder as gritty and hardworking as Robson was never likely to take to as mercurial a talent as Koumas, and so it proved; the two fell out and the player was loaned to fellow Championship club Cardiff City. Under another fellow Scouser in Dave Jones, his career immediately picked back up again, a spectacular goal on debut against Leeds United giving him instant hero status with the Bluebirds faithful (many of who would have already been aware of his ability due to his Wales performances). Cardiff could not afford his transfer, however, and he surprisingly returned to West Brom, signing a new contract and did well enough for Wigan to pay over £5 million for his services. 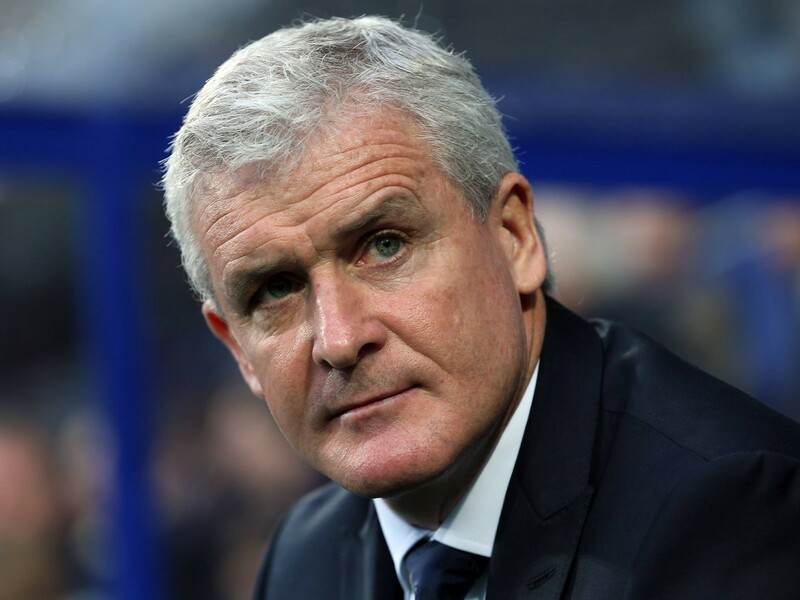 Although there for three years – all of which the club spent in the Premier League – it didn’t turn out to be a particularly fruitful move. A succession of managers led to a lack of first team chances, and eventually he returned to Cardiff for another season’s loan under Dave Jones. After such a superb impact in his previous loan spell big things were expected. Not for the first time, great expectations were in contrast to reality, an unfit Koumas struggling badly to regain anything like his previous Cardiff form. With his contract at Wigan up, the 31 year old was left in limbo. Surely such a talent would be wanted somewhere? Seemingly not, Jason Koumas did not play professional football for two years before making a surprising comeback with Tranmere in the summer of 2013. So when he made his international debut (ironically enough – considering his later aversion to travelling long distances – away to Ukraine) I clenched my fist in delight, the tug of war over his international allegiance was over, and Wales had won for once! (not the match itself, that was 1-1). Now to sit back and enjoy a truly great Wales career progress. Koumas scored 10 goals in his 34 international caps, a goals per game ratio (every 3.4 games) that betters legends like Mark Hughes (16 in 72, a goal every 4.5 games) and Cliff Jones (16 in 59, every 3.6). It also betters all but one of his much more vaunted attacking colleagues: Ryan Giggs (12 in 64, 5.3), John Hartson (14 in 51, 3.6), Craig Bellamy (19 in 78, 4.1) and Robert Earnshaw (16 in 58, 3.6). The exception is Gareth Bale. The two played alongside each of for a handful of games when Bale was making his way as a teenage wing back. Bale’s goals per game ratio on the eve of his 50th cap is an ever-improving 1 in 3. Koumas’ goalscoring rate also matches Dean Saunders, an out and out forward, who was arguably Wales’ most effective player of the early 1990’s. He has more international goals than revered English attacking players such as Chris Waddle (6), Peter Beardsley (9), Glenn Hoddle (8) and the same number as Paul Gascoigne. Koumas played fewer games than all of them. But therein lies the rub. All the players I’ve mentioned won at least 50 caps (or are about to in Bale’s case); Koumas only turned up on 34 occasions. 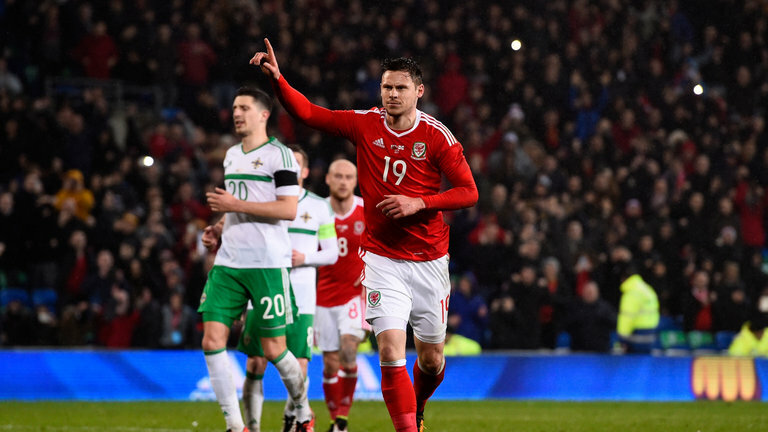 He is currently the highest scoring central midfielder in Wales’ football history but perhaps he is also a prime example of how statistics can be misleading. Surely a midfielder with such a good goalscoring record must be a legend? But Koumas has nothing like legendary status in Wales. Far, far from it in fact. Six of his ten goals were in friendlies, another two were in a dead rubber at the end of a qualifying campaign. 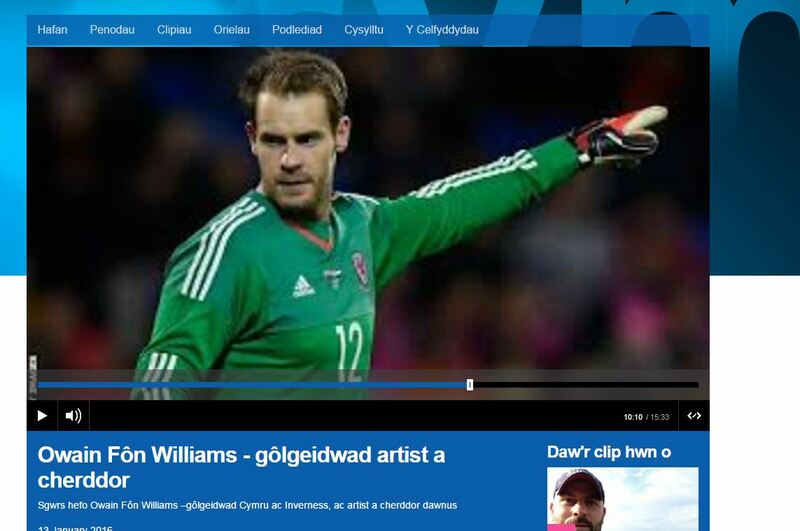 So only two of his Wales goals – versus Cyprus (wonder how his Dad felt when that one went in?!) 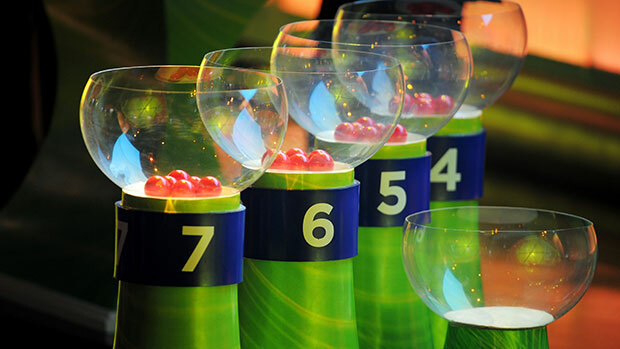 and San Marino (a slightly lucky rebound after fluffing a penalty) were in ‘live’ games. He simply didn’t do it when it really mattered. The last time I saw Jason Koumas play live, he was utterly majestic, dominating proceedings in a 3-0 win over Norway in Wrexham. It was an unexpectedly skilful performance. When I arrived on the Kop and looked out my heart sank. The pitch was awful, it looked like a cabbage patch. Norway had John Carew, at the time in superb goalscoring form for Aston Villa and one of the best ‘big strikers’ around, and he was up against Football League youngsters Lewin Nyatanga and Craig Morgan. We had no Bellamy or Bale and Ryan Giggs had retired from international duty a few months earlier. I fully expected the Norweigans to dominate in the air and win easily. Although the likes of Gunter, Ledley and Carl Fletcher played well, it was really Koumas who flipped that narrative on its head. I was in awe of just how in control of the ball he seemed on that pitch, the way he brushed past their defenders, the coolness of his shooting (he scored two and hit the post with a free kick). I texted a friend after the game; ‘dunno why Koumas is sitting on the bench at Wigan…should be playing for Barcelona’ and I meant it. There was a sense that in the absence of Giggs, this was Koumas’ time to step up, to be the main creative force, to grab a qualifying campaign by the scruff of neck. 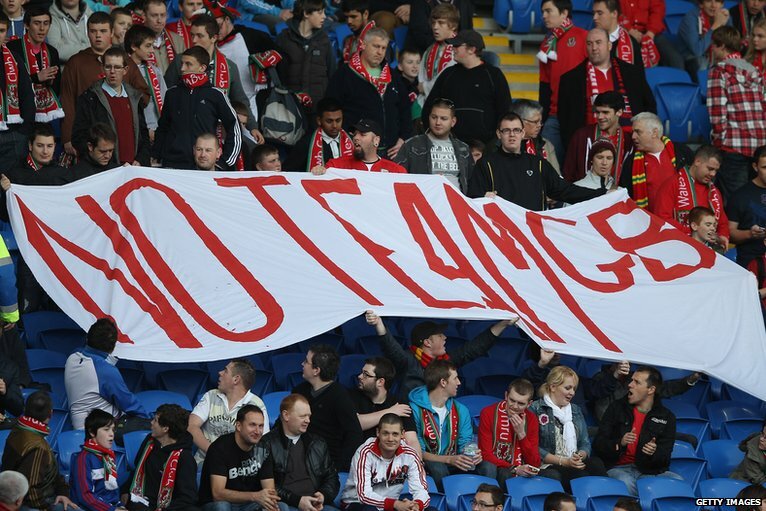 I got the feeling Toshack, who always backed him as much as he possibly could, was hoping this would be the case too. It didn’t turn out that way. Toshack, Liverpool legend, became the third Mersey-connected manager to be let down by his maddening midfield playmaker. Right from the start of the campaign to reach the 2010 World Cup, he disappointed. In a laboured performance against Azerbaijan at the Millennium Stadium he missed a late penalty, seemingly blowing our chances of kicking off with a much needed three points. Substitute Sam Vokes spared his blushes with a late winner. We played in Russia a few days later and put in a hugely creditable performance, Gareth Bale in particular serving notice of his considerable attacking skills in an unlucky 2-1 loss against the Euro 2008 semi-finalists. But sadly, for whatever reason, Koumas didn’t even get on the plane to Moscow. He was back for the next two games, a fairly routine 2-0 win over Liechtenstein, and a decent performance that still only yielded the expected result in a 1-0 away loss to Germany. Finland at home in March 2009 was the crunch game. To have any chance at all of putting pressure on the Russians in the battle for second spot in the group, a win was absolutely vital. Whilst watching the game, in the first half I remarked to a friend that the Finns looked so average, they were surely there for the taking. But against Scandanavian opposition of lesser quality than the Norweigans, Koumas was as anonymous as he had been sublime a year earlier at the Racecourse. In what was possibly the most frustratingly flat Wales performance I have ever witnessed, Bellamy was left isolated in attack, nobody even looking to provide support for his game but fruitless bursts into opposition territory. It finished Finland 2 Wales 0 but I don’t think it was much of a triumph for the victors anyway. “Two poor teams, neither of whom has a hope of getting to the world cup” said Bellamy afterwards and it was hard to disagree. Although it provided no tangible result in the short term, for around 35 minutes of that game, Koumas shared midfield duties with a youngster making his way at Arsenal called Aaron Ramsey. But it seems at that point he may have seen the writing on the wall. The next time Ramsey takes to the field for Wales he will reach the same number of caps as Koumas. The next time he scores he will equal the central midfield goalscoring record for Wales. Aaron Ramsey is 24 years old. The Finland debacle was to be Jason Koumas’ last international appearance. He announced his retirement ahead of the Russia home game in September 2009, having played in fewer than half of the 75 Wales internationals since his debut. He also failed to play an international match outside the United Kingdom for two-and-a-half years between September 2005 and March 2008. For us fans, these kind of statistics can be difficult to understand. I imagine most of us would have cut off one of our fingers with a rusty kitchen knife in exchange for Koumas’s footballing ability. Personally, I’d have lopped off all my digits and given serious consideration to a testicle. But players and fans are often – perhaps mostly – very different people. Jason Koumas never seemed to enjoy playing football very much, despite his breathtaking ability. It’s noticeable how rarely he smiled, even after scoring stunning goals and receiving the adulation of teammates. Given this, it’s perhaps surprising that in returning to Tranmere Rovers Koumas had decided to return to the ‘grind’ of football after a two year break. Perhaps he finally got a taste of life outside the football bubble and didn’t like it – who knows? – but he’s the kind of character that makes me curious as to what the he will actually do with the rest of his life. It’s near-impossible to imagine someone as obviously ambivalent to the sport of football staying in the game in a professional capacity. I hope will be able to find out what Koumas is doing in ten years time, in twenty, in thirty etc. It genuinely fascinates me. It would be easy to feel anger towards someone with such unfulfilled potential, the natural reaction for a success-starved Wales fan I suppose. But I don’t. I feel similarly to fellow Podcast Pêl-droed contributor Russell, who remarked in our Podcast Pêl-droed #7 that he always wanted to give Koumas a cwtch. I doubt such affection would have made much difference either, but I know where the sentiment comes from. There always seemed to be something somewhat wounded and vulnerable in his demeanour. In the end, trying to crack the Koumas ‘enigma’ is perhaps as pointless as asking Neville Southall for dietary advice. He is the footballer that the word ‘mercurial’ was invented for… a mystery trapped inside a riddle trapped inside a mystery trapped…etc. “Just think of me as one you never figured” sang Neil Young in ‘Powderfinger’. Perhaps that’s all there is to conclude about the footballing career of Jason Koumas too. Previous story Wales’ best ever goals?